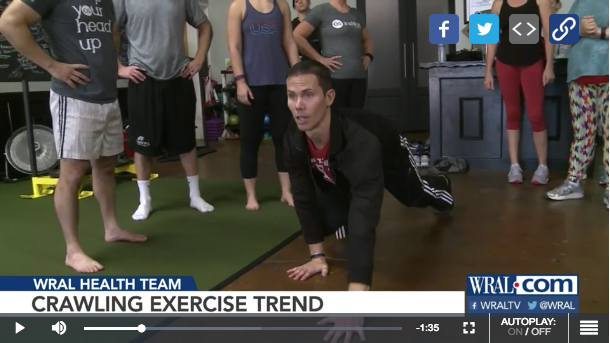 Did you catch us on WRAL? We’re sorta like a gym…. but better. Mission – To build strong minds and able bodies effectively, safely and friskily. Yes, friskily. We strive to be the best part of our clients’ day. We provide a safe, effective way to train, AND we make it fun. After all, building strength and discovering your abilities should be fun. The Original Strength Institute is an educational facility where movement and life come together. Life is meant to be lived. It should be filled with hope and joy. Movement is crucial in experiencing life the way it was intended. No one should have to live thinking they will always be in pain, they will always be weak, or they will always be broken. Our bodies were made to be resilient, strong, and they were designed to last – a lifetime. At OSi, we teach people how to regain what they once had and what they were always meant to keep: Their Original Strength. Let OSi help you, get the results you want all while having a little fun and learning about your body. We provide personal training, group fitness, corporate fitness, and consultation services to all ages and ability levels that will not only help you attain your health and fitness goals, but improve your quality of life. We are committed to you. Our nationally certified staff truly cares about you and your success. If you want to learn how to unlock your potential and become as resilient as possible, we can help you. We are confident that our services will benefit your body, as well as your mind and spirit.